From the beginning, the Agincourt Public Library was unusual. Unlike the vast majority of Carnegie era public libraries — those funded by Carnegie or the many others influenced by them — Anson Tennant’s design deviates significantly from the type. Not only do Andrew Carnegie’s libraries establish a genuine architectural type, I have seen in print the claim that they were all alike and built from the same set of plans. Statements like that tell me two things: #1) the type actually exists, and #2) a very large portion of our population don’t know how to look at buildings. I suppose one can claim that their architectural expression is remarkably consistent because their programs were virtually identical. 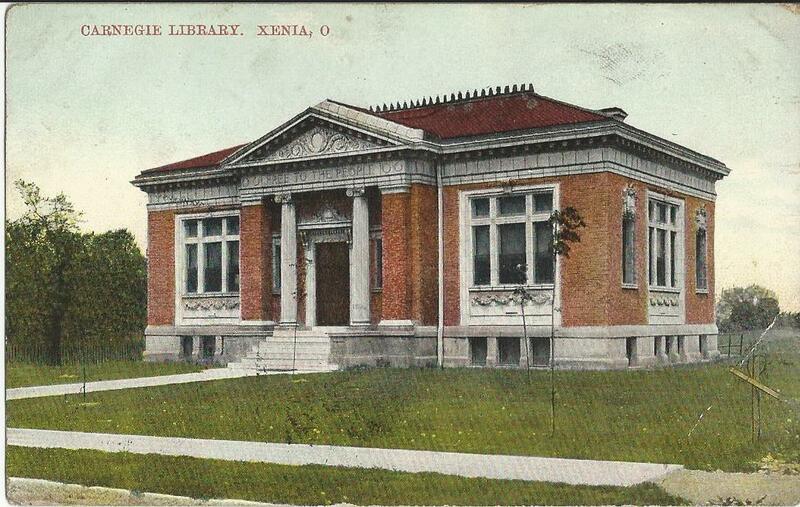 And in given market areas — say, Carnegie libraries in Iowa or in Indiana, which have them in large numbers — specific architects designed many of them in a very short time. Patton & Miller, in Chicago, for example, designed over one hundred. There is only so much variation under conditions like that. So I decided early in the process that Agincourt’s library of 1915 would accommodate something beyond the normal functions of a public library. An art gallery seemed appropriate but I also wondered if income-producing rental space was beyond the pale. I proceeded with that three-part program. On the 50 foot by 140 foot site, it seemed logical to place the ground-floor rental space at the narrow west end, fronting on Broad Street. The entrance to both gallery and library was placed half way along the side elevation, facing The Commons, with gallery at the east end of the ground floor and the library itself occupying the entire second floor. I was only slightly queasy about such deviance from the norm. 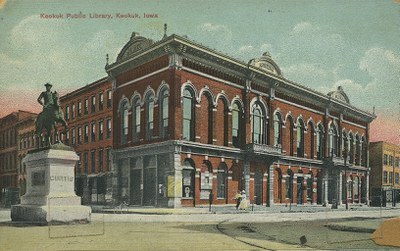 Until, that is, I ran across a postcard of the public library that once served Keokuk, Iowa (at the diagonally opposite corner of the state and, therefore, a regional prototype). 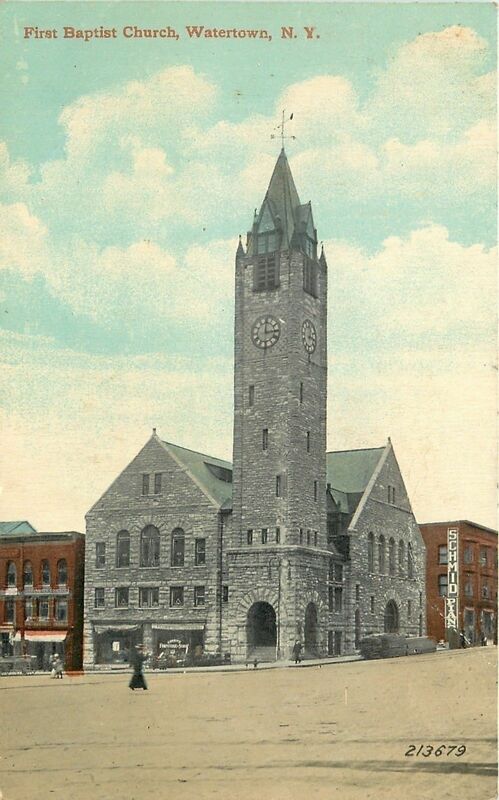 Though this building [shown above] has long since been replaced by a 1970s replacement, I wrote to the current reference staff in Keokuk for information. They couldn’t say what retail activity had occupied the from but the librarian confided that, when she was young, her mother discouraged going to the library at certain times of day because the ground floor at the rear corner had been the site of a brothel! I suddenly felt vindicated and free to proceed. Continuing work on the Akron-Auditorium projects (documenting a bunch of turn-of-the-century Protestant churches), one of them stood out from the rest for a similar reason: part of the First Baptist Church in Watertown, New York, incorporated commercial rental space facing the busier street, exactly as I had done in Agincourt. This project has taken many turns in its eleven-year history. All of them have been instructive. By agincourtiowa in Uncategorized on Tuesday/19/July/2016 .